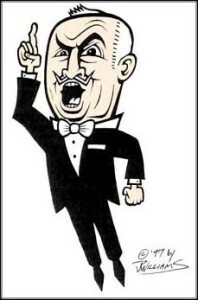 diglordbuckley.com | There's Only One Way Straight To The Road of Love! There's Only One Way Straight To The Road of Love! 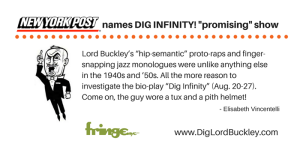 Dig Infinity! is coming to the 2015 FringeNYC International Festival! 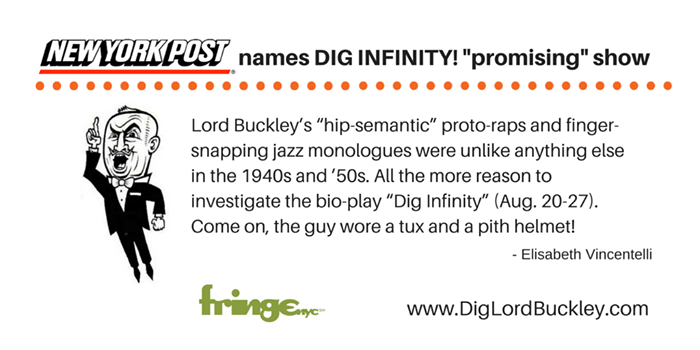 “Dig Infinity!,” at the Fringe Festival, celebrates the profound comedy of Lord Buckley. 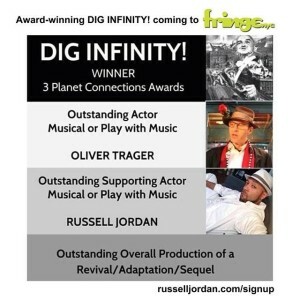 Lady Laurie Buckley of the Lord Buckley estate is giving her permission for the specific usage of his Lordship’s material for a one time non-exclusive stage performance of Oliver Trager’s “Dig Infinity!” for the The New York International Fringe Festival August 20-27, 2015, US & Canada only. Video rights not included.